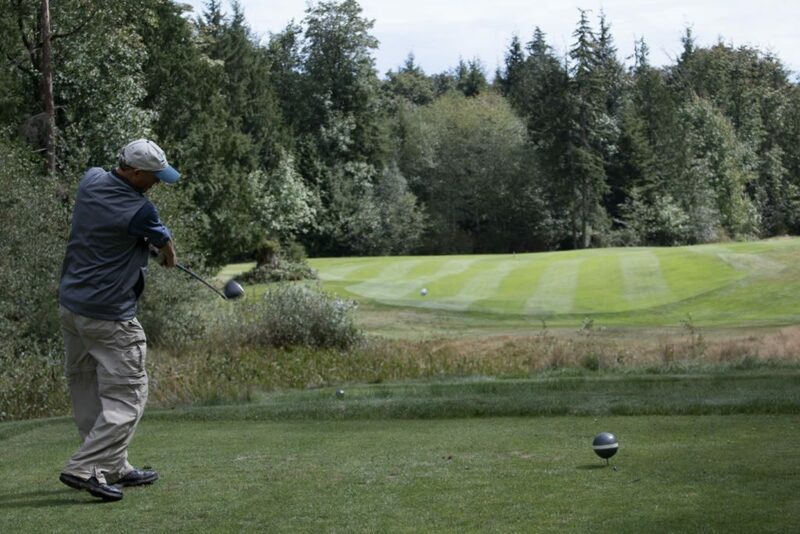 Our Three-Day Seattle Golf School location is just across the water way on the Puget Sound in Kingston, Washington. 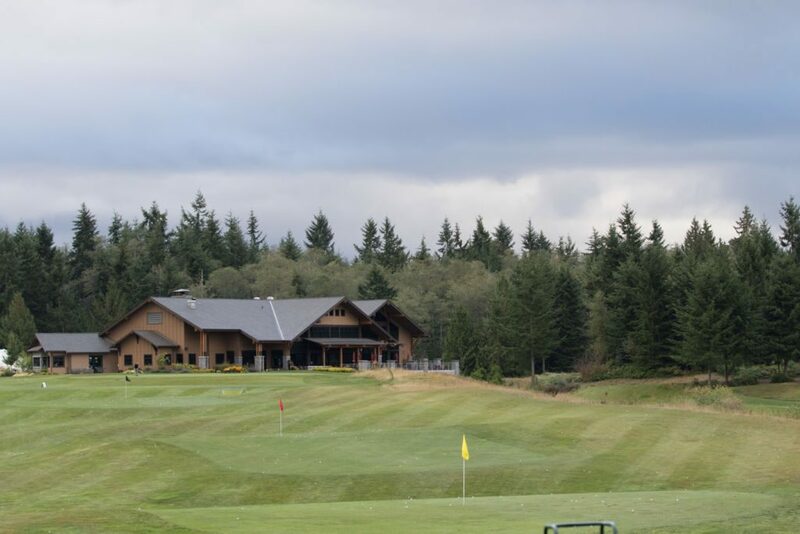 The White Horse Golf Club is a stunning course that has been taken over by the Suquamish tribe and their casino. The practice facility and course create an ideal learning environment with a vast array of places to creatively work on all aspects of your golf game. This type of golf instruction is designed as a transformative experience to help you learn how to become your own golf instructor. 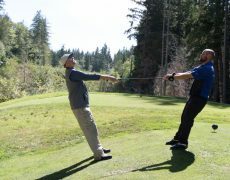 We will help you feel what a gravity aided swing can feel like, with an ease on your body and the power of natural momentum, you will learn to feel a distinction between the instincts that are working against you and how to enable a free flowing golf swing in yourself that will last for a lifetime. 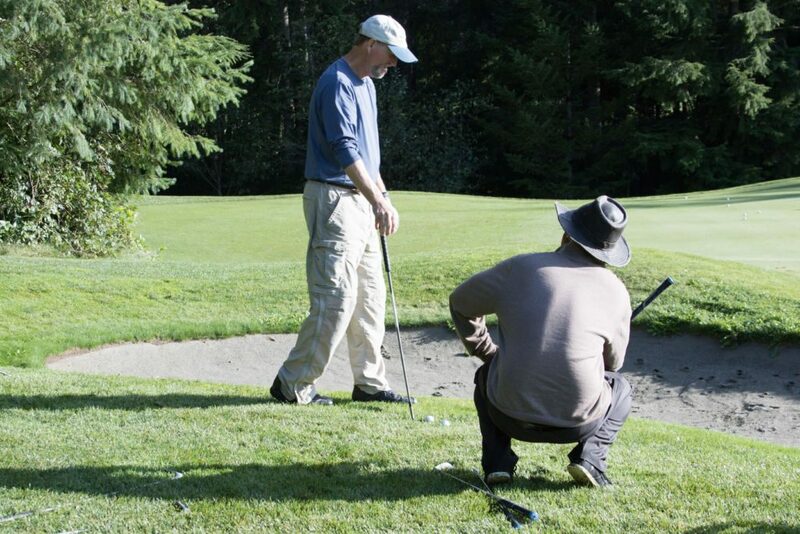 Having worked with students at the Seattle golf school over the last 5 years, it is a prime location for helping our students learn how to creatively design a learning environment for whatever aspect of the game they are trying to study. Using this unique approach of drill/environment based learning, you will naturally create an evolution in your swing mechanics through driving a deep sensitivity and awareness to fundamental concepts of movements you have been using since birth. 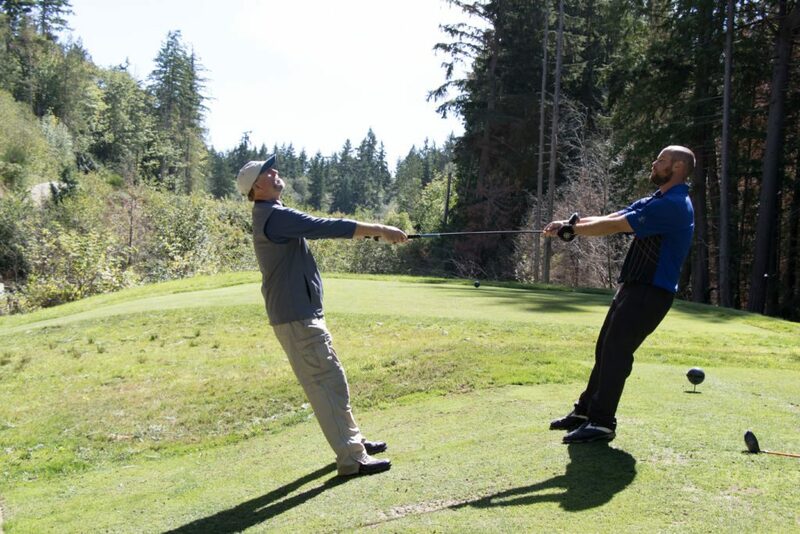 Learning to apply these simple concepts of gravity into your swing, will pay great dividends not only throughout your entire golf game, but for the health of your body as well. These Three-Day Golf Schools are one of the most comprehensive ways to technically and physiologically improve your golf swing in order to ensure that you are practicing in the most advantageous manner. You will experience a blend of time on the practice tee, short game areas, and on course golf instruction tailored to your specific needs. 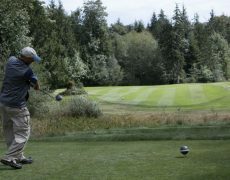 The Seattle Golf School runs from 8:30 AM to 5 PM, with a one hour lunch break in-between. That includes 24 hours of instruction, facility usage & golf balls, as well as lunch each day. The Golf Schools have a 4 to 1 student to teacher ratio ensuring that everyone receives an ample amount of one on one attention. You will go home with an understanding and a plan to take your game as far as you want to go. Also included with the tuition of the golf school, is a complementary 1 year access to the Gravity Golf Challenge Membership. We have spent years of research coming up with a step by step learning process to keep you moving forwards in your swing and on course development. It is 48 Lessons complete with 3 stages, 3 different difficulty levels for each lesson depending on your time and abilities, as well as scoring games teaching you to practice with a purpose and so much more. Are you ready to make a change? Many years ago, instructors had taught golf the same way.​ ​Today, while things largely remain the same, there are a few nuances that many schools fail to explore. Gravity Golf offers over 40 years of experience in teaching the sport, challenging age-old methods to discover a new, essential technique. Improve your game with the “Gravity” method. With decades of research and counting, we’ve changed the way players around the world think about golf as well as their swing. By utilizing your body mass, rather than your muscle, you can effortlessly swing with maximum efficiency and control. 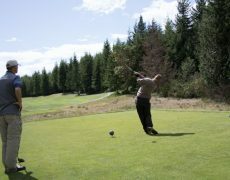 In fact, many of the games greatest PGA professionals utilize and endorsed this technique, such as Jack Nicklaus, Lee Trevino, and Chi Chi Rodriguez. Our dedicated instructors set us apart from other ​golf schools​ in the nation. We offer a four to one student-to-teacher ratio, which increases individualized instruction time. Three-day​ golf schools ​with Gravity Golf include personalized instruction, facility usage and golf balls, and lunch. 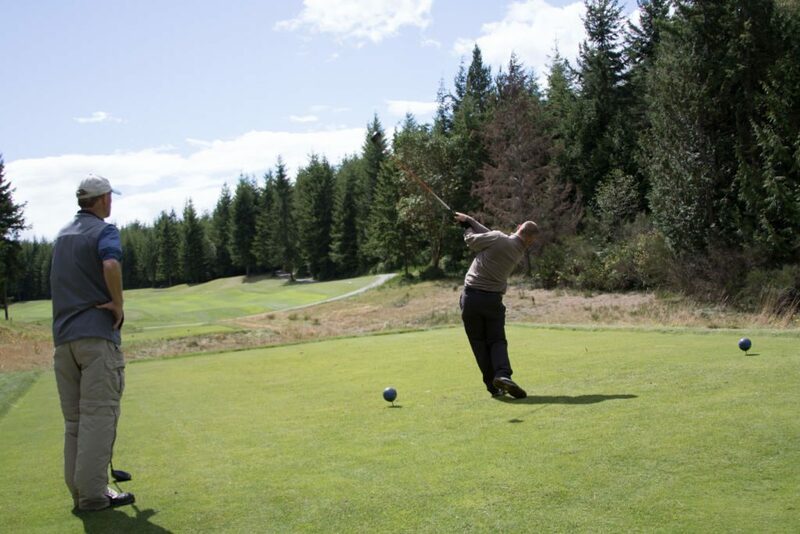 Enjoy private practice tee time, short game areas, and so much more. 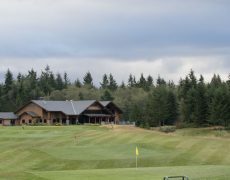 We teach at the beautiful White Horse Golf Club and Casino Resort on the Kitsap Peninsula, set among towering evergreens. Learn the game easier, faster, and better in a secluded forest environment. Don’t become stuck in a rut; improper technique and form can ruin your game. 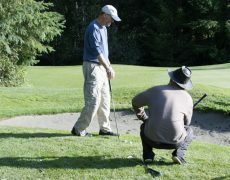 For a perfected swing backed by science, ​register for on-course ​golf instruction​ in​ Kingston, WA​. ​After experiencing hours of fun and hard work on the green, you’ll be glad you did. We encourage you to check in with us after your ​golf instruction​ experience. Our instructors are here for you, and they’re always striving to help—even after you graduate from our program. If you can’t make it to our upcoming​ golf schools in Kingston, WA​, we encourage you to view our online Gravity Golf Challenge. From basic principles to advanced concepts and specialty shots, you’ll learn how to become your own instructor. ​Sign up now to get started!